Taskforce launch for establishment of the Zambia National Advisory Board: An Impact Revolution movement has arrived in Zambia. 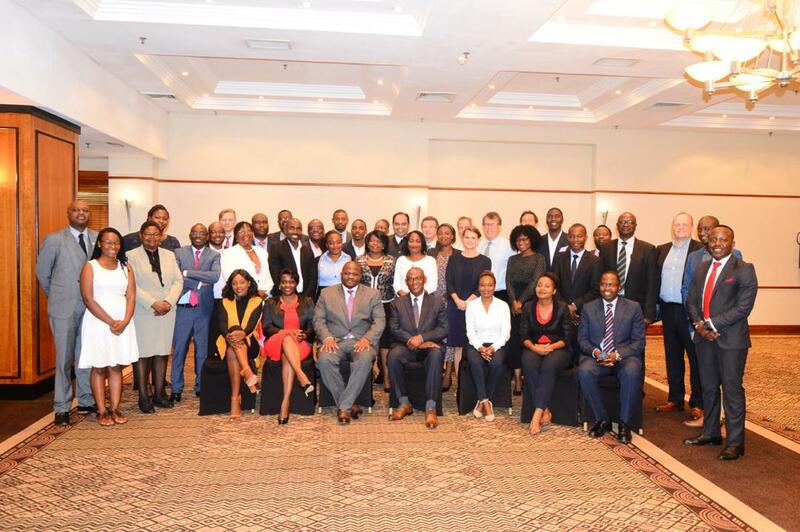 On 12 December, 2018, the Global Steering Group on impact investment (GSG) with support from IIX Chapter Lusaka and 4IP Group brought together 45 various stakeholders of the ecosystem to discuss the impact investing movement in Zambia and constitute a taskforce for the establishment of a National Advisory Board (NAB). Among the dignitaries’ present were the Hon. Minister of National Development and Planning (MNDP), the permanent secretary for the MNDP, Chief Executive Officer and Marketing Development Director for GSG, Head of Economic Growth, DFID and the Chairperson of the taskforce of the NAB. In his welcoming speech, Amit Bhatia, CEO of GSG thanked everyone present and expressed strong optimism about the future of impact investment movement in Zambia. The GSG is present to fully support the impact investment movement in Zambia. He further expressed his belief that the establishment of a NAB will be a necessary vehicle between local and global actors focused on directing private capital to public purpose. The Honorable Minister also expressed strong interest and pledged his support on behalf of the Government of The Republic of Zambia for the initiative. After the welcoming speeches from DFID’s Representative and the Chairperson of the GSG Taskforce for the Zambia NAB, Krisztina Tora, the Marketing Development Director for GSG delivered a presentation on state of impact investment industry in Zambia which is estimated as of 2015 at USD 1.8 billion. Further breakdown indicates that USD 157 million accounts for capital deployed by private impact investors while the remaining amount of USD 1.7 billion accounts for capital deployed by Development Finance Institutions (DFIs). She further highlighted the purpose and activities of the NAB and shared a few key success stories from already existing NABs particularly the South African NAB which currently is the only operational NAB on the African continent. Pension funds are among the biggest suppliers of capital in Zambia. However, their current focus is limited to liquidity and capital preservation. Therefore, there is need to have them on a board and influence their decisions approach to risk, return and impact. 4IP Group stands ready to share its on-going experience engaging the Swiss Pensions funds with the Zambian GSG-NAB Taskforce. In order to have a successful NAB in Zambia, there is need to involve the government from the onset. 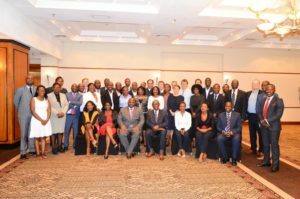 In addition to the already expressed support from MNDP at the GSG event in Lusaka, however the GSG Taskforce will need to follow-up with the Ministry of Finance (MOF) as a follow-up to IIX Chapter Lusaka’s presentation of the GSG idea earlier this year for the Director of Economic and Finance Management and her whole department. When it comes to the demand for capital, there are many growth-oriented enterprises in Zambia, however they need more hands-on support to become investor ready as 4IP Group is already doing with its Zambia Portfolio companies. There is need to create a special vehicle to leverage the funds laying idle in Zambia for impact. For example, The UK government seizes millions of pounds from dormant bank and building society accounts to help it to meet existing funding commitments to “build a fairer society”. Another way of leveraging is to educate young social entrepreneurs about these windows of opportunity. Angel investment and Angel networks are not present in Zambia. Day by day, Impact is becoming more important. Young people don’t want to work with companies that are not purpose driven. In Zambia, human capital is also a challenge. Impact investing present an opportunity to address these concerns. It is important to stress that impact measurement is an integral part of Impact investment. At the same time there is need to be clear on what impact investment is NOT. There are several ways to make organizations (investees) measure their impact, for example by making it mandatory to report impact. Another way is the financial incentive because ESG measurement will open the investees for ESG oriented investors. This in turn will make it easier for 4IP Group to match the purpose driven enterprises with ESG investors such as Family Office and Pension Funds who we are currently engaging. There exists no trade-off between short term and long-term impact. The meeting ended with a call from all invited guests to volunteer to be part of the proposed Taskforce for the NAB. Without hesitation, 18 people stemming from 5 building blocks of the Impact Investing Eco-System expressed an interest in participating. Consequently, the meeting led to the Constitution of the GSG taskforce which will commence drafting a business plan for the establishment of a GSG NAB in 2019. The constituted Taskforce team met for the first time on the 21st of December at Yemeni leadership centre, at Stanbic Bank, where they planned for the exciting Impact Revolutionary tasks ahead in Zambia as well as in collaboration with the sister NABs in Accra, Nairobi and Cape Town. Stakeholders represented players from 5 pillars of the ecosystem namely supply of capital, demand for capital, market builders, intermediaries and policy/government. National Advisory Board is that national go- to organisation for impact investment, leveraging the power of the collective for increased impact. The 4th edition of the Geneva Summit on Sustainable Finance took place on the 7th of December in Geneva. Researchers from around the world convened to present the results of their latest research projects on sustainable finance and get feedback from practitioners. Corporate green bonds: they improve both financial and environmental performance of issuing companies. Based on the sample of green bonds studied, the value of stocks of issuing companies was found to have an excess increase in value of 0.67% compared to similar non-issuing companies. Moreover, greenhouse gas emissions of issuing companies decreased by nearly 30% within 2 years of the date of the first issuance of a green bond. Exporting pollution: companies headquartered in countries with stricter environmental regulations on carbon emissions do lower their emissions (scope 1 and 2) in that country but significantly increase them abroad, resulting in pollution export. Despite that, the overall net result is a decrease in emissions on the global level. Shareholder coordinated engagement: to be successful the lead investor of the coordinated effort must be from the same location as the targeted company and have high AUM, as well as have the support of foreign investors also with high AUM and a large holding in the company. A successful engagement leads to a higher growth in sales and of the average profitability (ROA) of the company. Regulators need to act faster as this field is constantly evolving. Finally, Nick Hughes, co-founder of M-KOPA, presented the ground-breaking clean energy and finance services they provide in East Africa, showing how micro-payments may bring affordable and clean assets to millions of people. People’s First PPPs: buzzword or conceptual breakthrough? Sustainable Development Goals (SDGs) as defined by the United Nations General Assembly in September 2015 benefit from a broad consensus and orient the action of all international organizations aiming to promote economic and social development. In this context, Public Private Partnerships (PPPs) have been widely recognized as an important tool to help reaching the SDGs. While there is no consensus on the exact definition of PPPs, the World Bank has defined them as: “A long-term contract between a private party and a government entity, for providing a public asset or service, in which the private party bears significant risk and management responsibility and remuneration is linked to performance”. 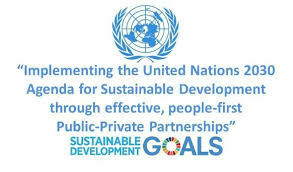 A slightly different definition by UNECE does not address the remuneration aspect: “Public-Private Partnerships (PPPs) aim at financing, designing, implementing and operating public sector facilities and services. Their key characteristics include: a) Long-term (sometimes up to 30 years) service provisions; (b) The transfer of risk to the private sector; and (c) Different forms of long-term contracts drawn up between legal entities and public authorities”. In the context of this article, it is not so important to define precisely PPPs than to recognize that the on-going practice has not completely dissipated any ambiguity on the concept and has not yet allowed a consensual definition. This situation may have to do with the fact that PPPs have emerged from practice rather than from a theoretical approach, but it may also reflect political divergences. However efficient and useful PPPs may be, including in contributing to the SDGs, they still remain exposed to criticism and dissent. Another important factor is that PPPs originated in an advanced country environment (primarily UK and Western Europe), which requires some adaptation to the needs of the developing world with regards to SDGs. 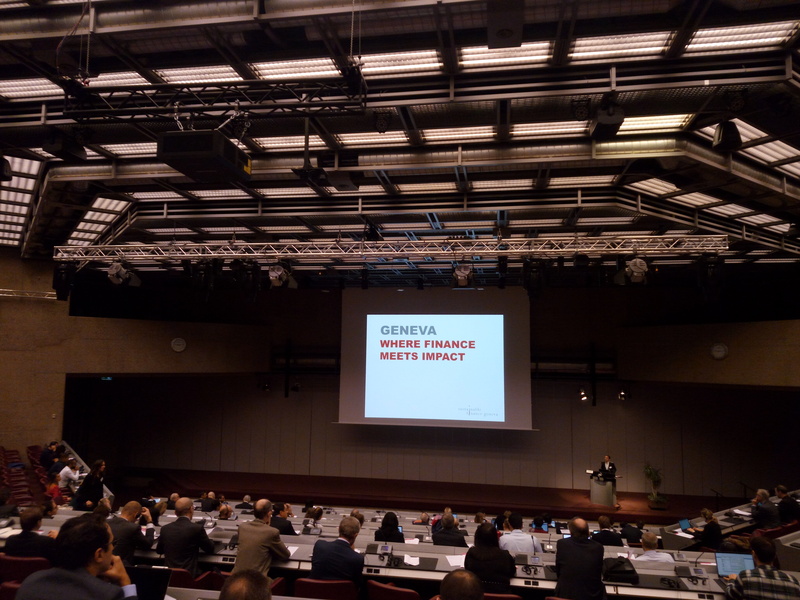 UNECE is elaborating a compendium of case studies which should comprise at least 500 projects to provide a ground-based illustration of what are PF PPPs. – Some arguments in favor of PPPs are losing traction, especially in developed countries; for instance, the notion of value for money is more frequently seen as an ad hoc justification rather than a true project prioritization instrument. Therefore, new paradigms are required in order to better justify the use of PPPs, and PF PPPs may play this role. – PF PPPs create a benchmark to assess the quality of PPP projects from point of view of public interest that all stakeholders, but in priority NGO and civil society can take advantage of and, as the case maybe, influence the preparation process. – PF PPPs help to counter the bad publicity received by PPPs from their opponents who claim that they benefit only to the private sector, that they do not deliver their promises or that they encourage corruption. Using the People’s First moto shows that PPP are geared toward public interest and SDGs. – PF PPPs approach helps to constantly improve the quality of the PPP projects by creating standards and improving the understanding of how previous projects may have been ill designed or gone wrong. It is too early to judge in practice the added value and the benefits of the PF PPPs concept as it has not yet really moved beyond the sphere of international organizations and managed to become a standard reference, despite the considerable efforts led by UNECE. Only time will tell. – The added value of the PF PPPs concept needs to be made clear. PPPs is already a very broad concept. By definition PF PPPs are a subcomponent rather than an entirely new instrument. It could be argued that most PPPs already include part or all PF PPPs components and that those which have not done so had good reasons for that. Therefore it is not clear whether the adoption of the PF standards will have an impact on the ground and will be able to change the way projects are selected and designed, or whether the use of the PF PPPs approach appears only as a PR action. – The criteria mentioned above have not met consensus. Let’s take the condition on scalability: it seems operative but in reality, it does not address the essence of a project. This condition could suggest that large projects that have a transformative effect of their own but cannot be replicated as there is room for only one project in a given country do not comply with the definition, which does not sound aligned with PF PPPs rationale. When taking a closer look, the exact content of the scalability concept may appear blurred: are we talking of scalability of the scheme, of the promoters and capital sources, of the contracts in place? Depending of the projects elements that are included in the upscaling, the concept may go from all encompassing to reduced to nil. – PF PPPs definition runs the risk of lacking in clarity. At some point, all or nearly all projects could be qualified as People’s First PPP, while it could be the case for nearly no project under a stricter approach. The exact place of the cursor is open to controversy and at the end of the day might generate more criticism than what it was expected to solve: PPPs proponents will argue that their project is PF, while opponents will continue to deny it. – The terminology of People’s First PPP implicitly suggests there are non-People First projects, which most will understand as “Money-First PPPs”. By creating a category of “good” PPPs, other projects that do not receive the label will implicitly be downgraded to dubious transactions with unclear motives, putting under stress both private and public partners. The general public may be led to think that non-People’s First PPPs are bad projects which should be rejected. We believe that this would be harmful as PPPs may be designed to answer different problems and should not be criticized for the sole reason they do not fall under the PF umbrella. In addition, there could be an issue with already operating projects that could be delegitimized as non-PF PPPs, thus offering a political basis to Governments to terminate them with or without proper private partner indemnity. This would probably disrupt the PPP market in the country where it would take place and even in wider geographic circles. The PF concept in such circumstances would have just contributed to intensify the criticism on PPPs rather than promoting them. So far, as showed by a simple Google search, the use of the concept has not significantly extended beyond the UN sphere. This is obviously due to the fact that the concept is relatively new. There are however some grounds that slow down its adoption. First practitioners and observers need to be convinced of the added value of the concept, and this obviously will take time. The idea has so far encountered a mixed reception, some practitioners voicing enthusiasm for what they see as a new development tool, while others, possibly out of conservatism, pain to see the added value. Second, Government in developing countries, especially at the beginning of their PPP journey, too often understand PPPs as some magic instrument that will solve the infrastructure problems without threatening fiscal balance; in that respect they do not see the need to add new constraints to an instrument which is seen as positive whatever happens. Lastly private sector alone will not take the lead as they are afraid to be perceived as hypocritical. (1) Make it clear that there are diverse types of PPPs that are not subject to criticism per se, even though they are not People’s First as per UN criteria. For instance, PPPs could be classified as (1) People’s First – those who provide basic services to low income users, (2) Technical – those who improve the quality of service and (3) Financial – those who decrease the cost of service or alleviate fiscal burden. The underlying idea is not to promote another classification, which has inevitably its limitations and drawbacks, but rather to indicate there are diverse types of PPPs that should not be abandoned for the pure reason they are not PF. (2) Work inclusively with international organizations, academia and NGOs in the one hand, and private sector in the other hand, to promote the notion through widespread consensus. The end goal should be to increase private financing of infrastructure, not create grounds to criticize and finally stem private sector financing. This cannot happen without major involvement of private actors, Banks and Contractors in the front line. The success of the Equator Principles in project finance shows the way, even though the PF PPPs take place in an even more complicated environment which mixes public and private spheres than private project finance. (3) Define a clear road map and vision of how the concept should be used and what role it should play. What incentives for Governments to take it onboard? What consequences for the Private sector? One step in this direction is to accelerate the work on measurable standards and widely circulate them to help public understanding of what are PPPs, PF PPPs and what social impact they have. In conclusion a difficult political line needs to be drawn where PF PPPs would be seen as a refinement of the PPP approach rather than a critic of the past. More research and debate are necessary to achieve the required clarity and visibility, and avoid the fool traps of what could be otherwise a dangerous illusion, rather than a useful step forward.